Drive-away pricing starts at $17,990 for the Polo Trendline with a five-speed manual. Opting for any paint other than white adds $500 and VW wants $2500 to fit its seven-speed dual-clutch auto. The Comfortline brings more power, centre armrest, auto lights and wipers and "comfort cloth" upholstery - it's priced from $20,490 for a six-speed manual or $22,990 for the auto. Servicing is every 12 months/15,000km and the first three trips are capped at $1213 for the auto and $1233 for the manual. The Polo is entertaining and bewildering at the same time, much like the game itself. The little VW has some features you wouldn't expect at this price - and misses out on others you definitely would. The best-in-class eight-inch infotainment screen has smartphone mirroring, which you'll need, given there's no satnav. The soft-touch plastics high on the dash look and feel great but also highlight the hard plastics lower down. The rear is a Spartan environment with no air vents or USB ports, while items placed on the flat-bottomed seats tend to slide about. And wheel covers don't look great on any car, particularly a VW. 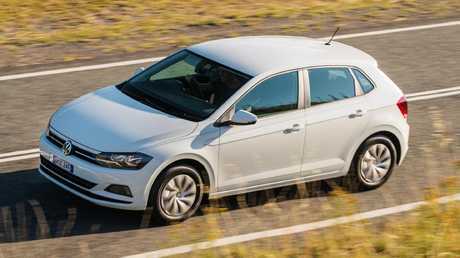 Fuel sipper: Small, efficient three-cylinder engines power the Polo Trendline. The Polo is one of the few cars in this class with autonomous emergency braking in each grade. It is the latest version of the software with pedestrian detection, full accident avoidance in the urban speed tests and decent deceleration from triple-digit speeds. The full suite of assistance technologies comes as an option, solely on the top-spec Comfortline. The pack is well-priced at $1400 and bundles adaptive cruise control, park assist and blind-spot monitoring with rear cross-traffic alert and powered folding side mirrors. 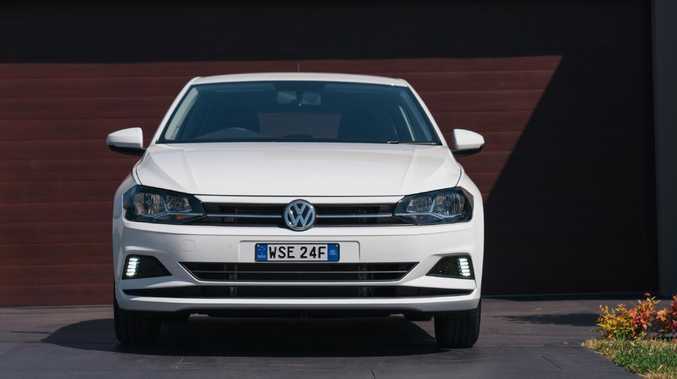 ANCAP gave the Polo a five-star rating with high marks across the board except "safety assist" where it lost 25 per cent of its potential score for not having lane-departure warning or lane-keep assist. Room to breath: The new Polo has substainally more interior space than previous models. The Polo is powered by a 1.0-litre three-cylinder turbo in two states of tune. The Trendline variant is good for 70kW/175Nm, while the engineers have eked out 85kW/200Nm in the Comfortline. Performance is reasonable for a city car in the base version and better than most of the opposition in the higher-output guise. The three-cylinder's unique sound is a bit buzzy at higher revs but it doesn't translate into vibrations in the cabin. 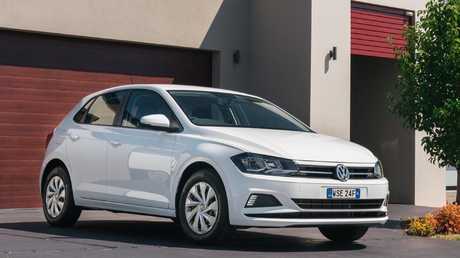 Sharp moves: The 2018 Volkswagen Polo is a great driving city car. The new Polo rides on the same platform that underpins everything from the Golf to the Tiguan and is a substantially bigger car than before, having grown by 78mm in length and 69mm in width. 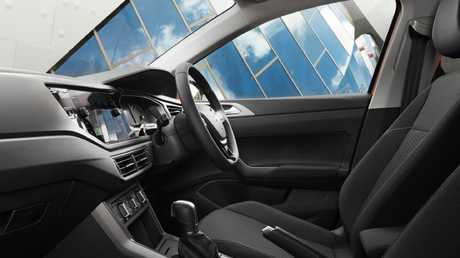 That improves interior space and pushes the cargo capacity out to 351L (the segment-leading Hyundai Accent has 370L). 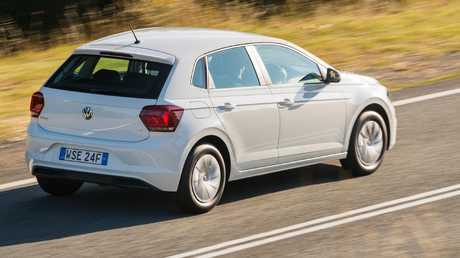 The growth spurt hasn't affected the Polo's ability to handle rubbish roads and curvaceous routes alike. Its ride is firmer than an Accent or Toyota Yaris but the initial hit is well-damped and the VW refuses to bang over bigger obstacles. The dual-clutch auto usually has the right gear ready to go at the right time and fuel use will come close to the claimed 5.0L/100km.